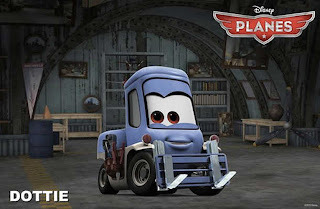 Home / 3D / animated movie / Brad Garrett / Cedric The Entertainer / Dane Cook / Disney / movie / Planes / Stacy Keach / Teri Hatcher / Walt Disney Studios / Meet Team Dusty of Disney's "Planes"
The cast is led by Dane Cook, Stacy Keach, Cedric The Entertainer, Teri Hatcher and Brad Garrett. Below are the first-look images of the characters, with corresponding descriptions. 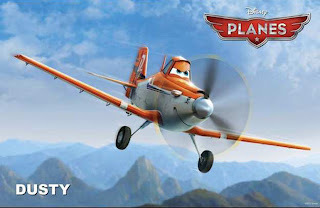 Dusty (voice of Dane Cook) is a plane with high hopes—literally. Crop duster by trade, this single-prop plane sees himself soaring alongside his high-flying heroes in an international race. The fact that he’s not really built for competitive racing doesn’t deter him from pursuing his dream—but his fear of heights just might. With a little help from his friends—and a WWII vet with wisdom to spare—Dusty takes off on an adventure of a lifetime, going prop-to-prop with champions while daring to reach heights he never imagined possible. 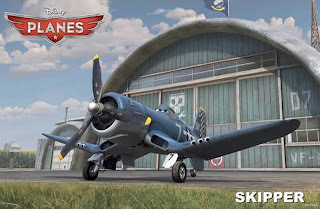 A reclusive old Navy Corsair, Skipper Riley (voice of Stacy Keach) was an ace flier and top instructor of the esteemed Jolly Wrenches squadron until an incident during a combat mission took him off the front lines and left him grounded for life. These days, Skipper keeps to himself, but his quiet existence is turned upside down when an ambitious and persistent Dusty solicits Skipper’s aerial expertise—and gets a few life lessons in the process. But Skipper—who’s never really come to terms with his past—finds that he has a few things to learn, too, and while coaching Dusty to fly faster and smarter, the teacher becomes the student. 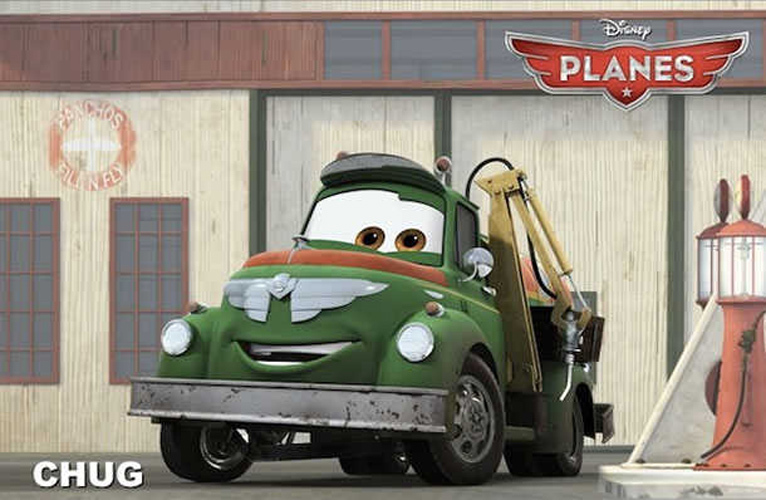 Leadbottom (voice of Cedric the Entertainer) is a puttering old biplane and a grumbling taskmaster, a real “tank-half-empty” kind of guy. 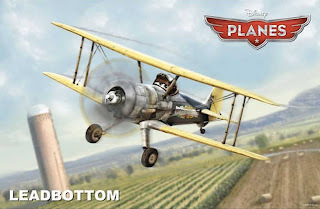 As the proprietor of Vitaminamulch, a special—albeit putrid—blend of vitamins, minerals, and mulch that works miracles when sprayed on crops, Leadbottom has no time for Dusty’s far-fetched flights of fancy. There are too many crops to spray and not enough hours in the day to spray them. For Leadbottom, it’s work first, then … well, more work. Dottie (voice of Teri Hatcher) is a forklift who co-owns and operates Chug and Dottie’s Fill ’n Fly service station. As Dusty’s practical and say-it-like-it-is friend—not to mention his ace mechanic—Dottie hopes to keep his high-flying hopes grounded in reality: Dusty isn’t built to race and chasing his dream is downright dangerous. No matter what he decides, however, Dottie will always have his back. Fuel truck Chug (voice of Brad Garrett) is a guy’s guy. He works hard as co-owner of Chug and Dottie’s Fill ’n Fly service station—and plays hard indulging in his own fuel from time to time. 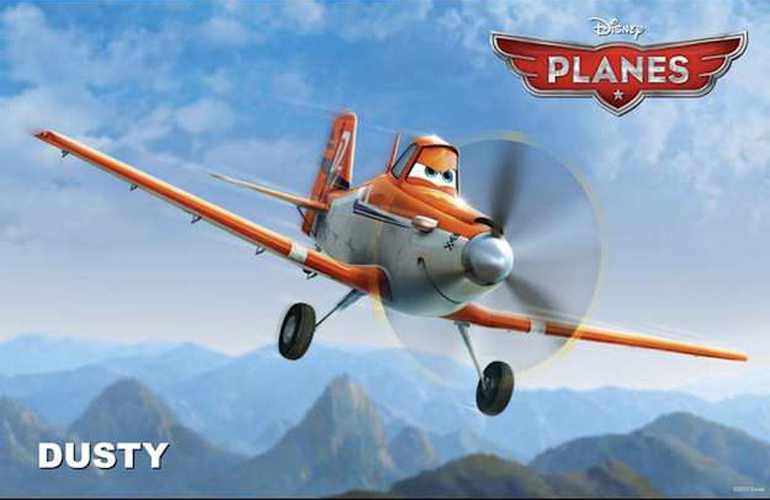 He has a big personality and is a bold supporter of Dusty’s high-flying endeavors. Indeed, he’s not only Dusty’s buddy, he’s his coach and biggest fan. And if Chug can’t help Dusty reach new heights, he’ll find someone who can.